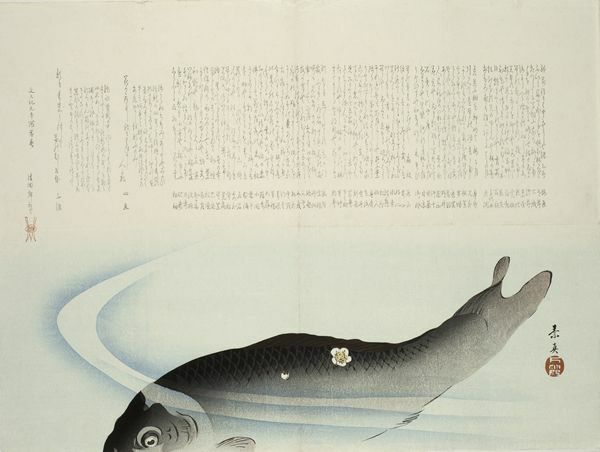 Yashima Gakutei (Ca.1786-1868)- Carp Swimming Among Water Weeds. Circa 1820s. Square surimono. 20.9 x 18.2 cm. Fine impression with extensive metallic printing. Fine colour. Very good condition. Genuine impressions can be distinguished from the deceptive Group A copy by the flaw in the block at lower left in the former. 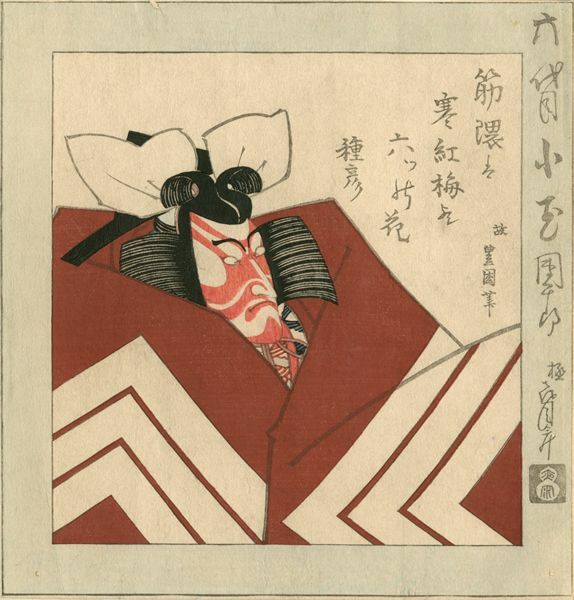 This example closely corresponds to that in the Gerhard Pulverer Collection and the Metropolitan Museum of Art (ex Hayashi and Havemeyer). 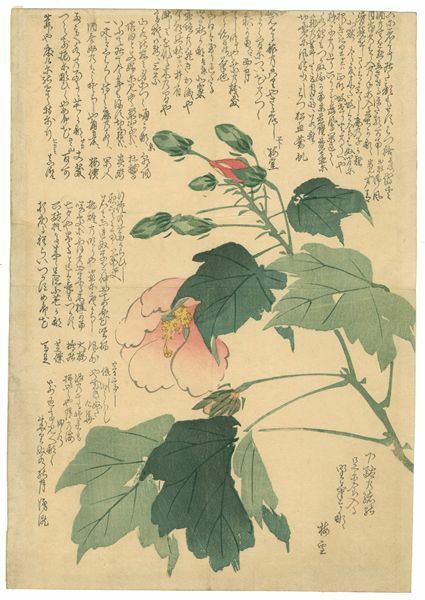 Anonymous Shijo School Artist (Circa 1830)- Hibiscus Circa 1830. Circa 1830. Koban. 18.7 x 12.7cm. Fine impression with metallic printing and embossing on the outline of the figure. Fine colour and condition. Circa 1830. Fine impression with metallic printing. Fine colour and condition. Circa 1830. Koban. Fine impression with metallic printing. Fine colour and condition. Circa 1830. Square surimono. Fine impression. Very good colour and condition. Album backing. Margins trimmed to borderline at top and left. Ca. 1830. Koban. Fine impression with metallic printing. Fine colour and condition. 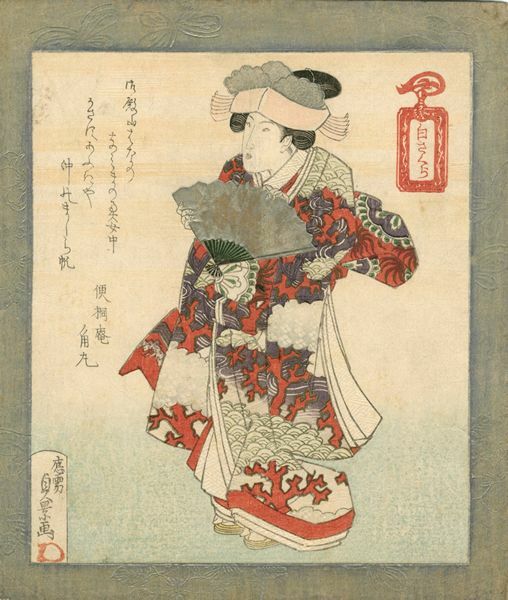 Utagawa Kunisada (1786-1864)- Ichikawa Danjuro VII as I no Hanata. 1820. The left-hand sheet of a triptych. 1820. Square surinomo. 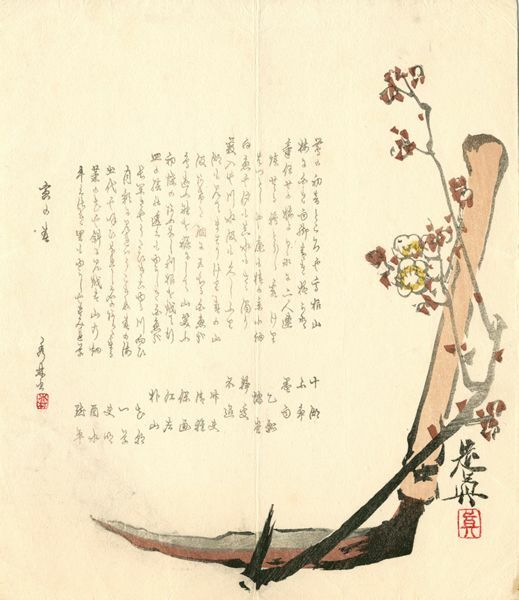 20.9 x 18.1 cm. 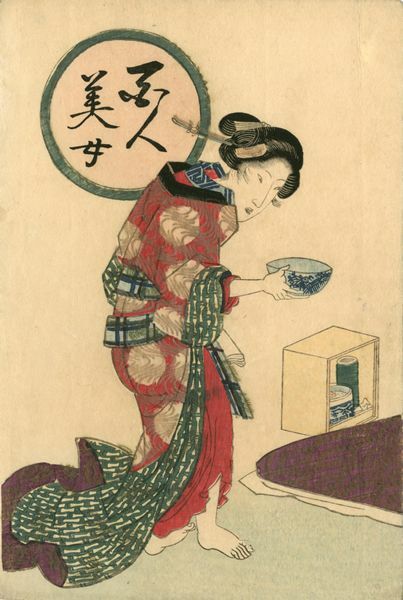 Edo no surimono (Chiba City Art Museum), no. 255; Amsterdam/IV/145. Fine impression and colour with metallic printing. Very good condition. Trimmed to the borderline at left and re-margined. 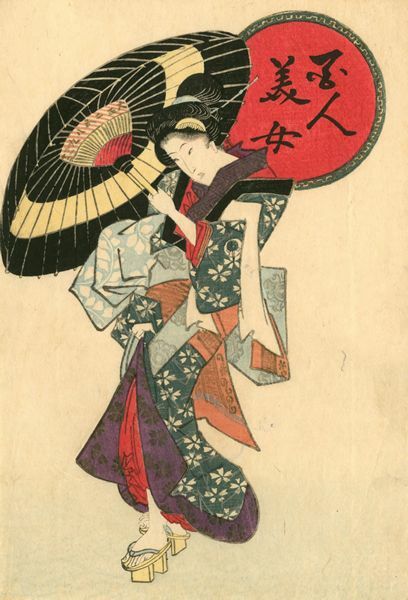 Utagawa Sadakage (Active 1818-1844)- A Standing Beauty. Ca. 1830. Square surimono. Fine impression with metallic printing. Fine colour. Very good condition. Printing creases. 1790. Small surimono. 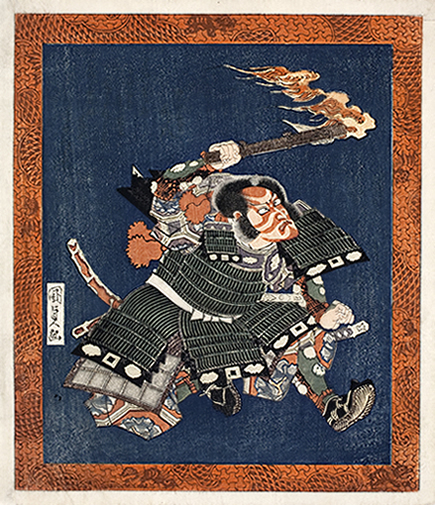 13.2 x 13.6 cm. Fine impression, colour and condition. 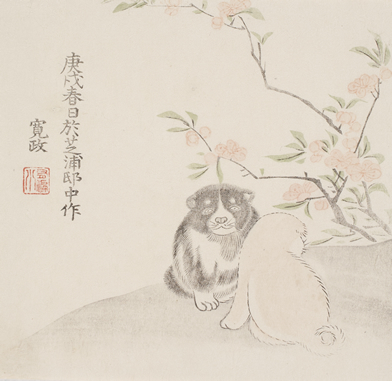 The text reads, "Produced at the residence of Shibaura on a spring day in 1790" (Kanoe inu shunjitsu Shibaura-teichu ni oite tsukuru). 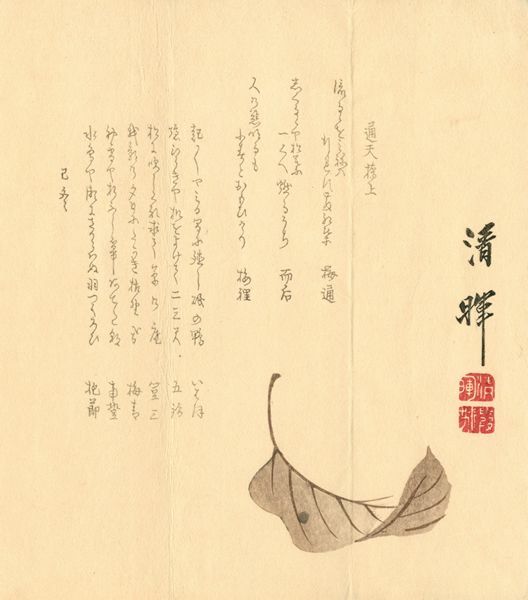 Another impression is in an album of surimono in the British Museum. 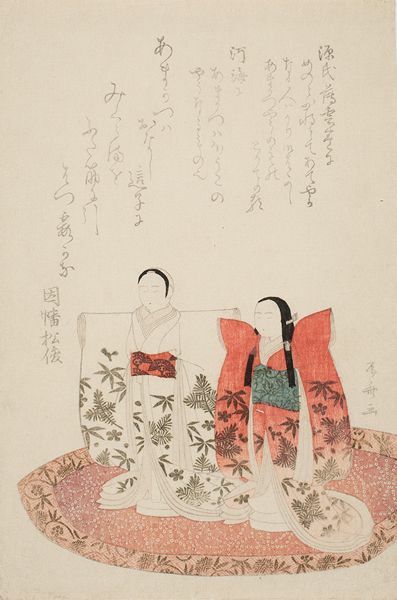 From an untitled series of Settsugekka (Snow, Moon and Flowers). Circa 1825. Koban triptych. 18.2 x 37cm. 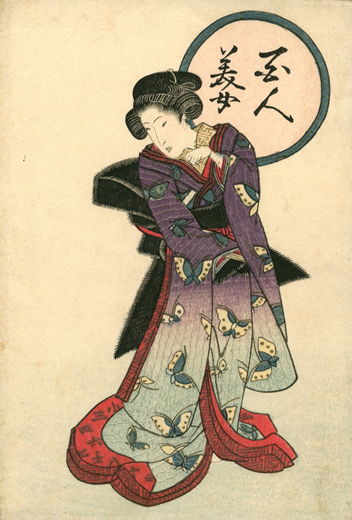 Izzard, Kunisada's World, no. 45. Fine impression with extensive blind printing. Fine colour. Backed. Very good condition. 1861. Large surimono. 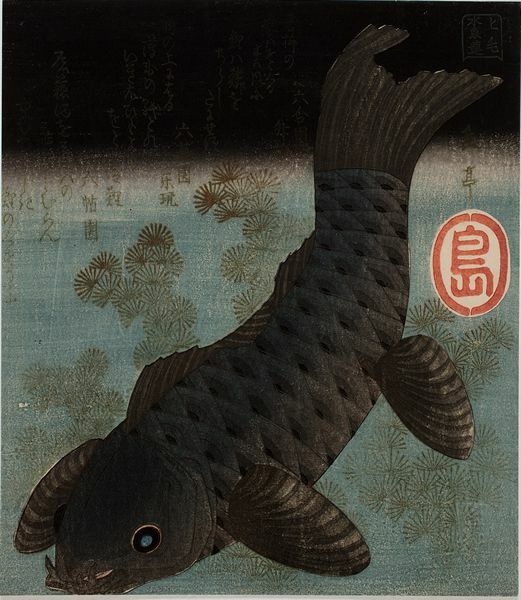 43.3 x 56.9 cm. Fine impression and colour. Very good condition with the usual folds and slight creasing. Circa 1810s. Small surimono. 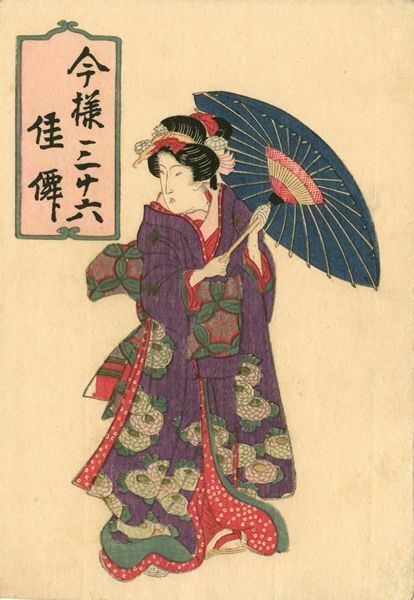 20.8 x 13.9cm. Fine impression with metallic printing and exquisite gauffrage. Fine colour and condition. Circa 1860. Fine impression and colour. Very good condition. 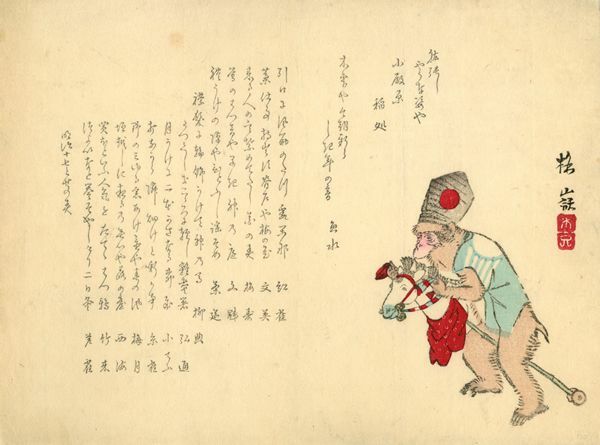 Surimono. Circa 1850. Small surimono. 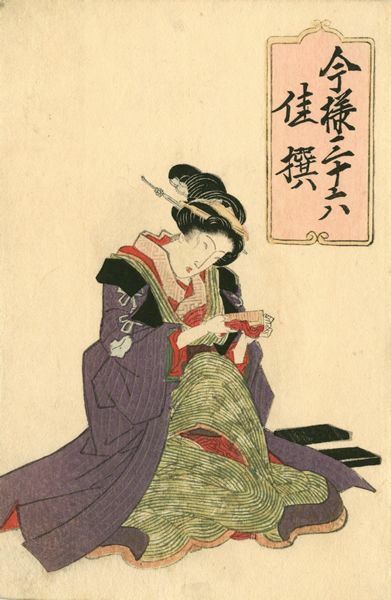 Fine impression, colour and condition with the usual folds. The original wrapper is present. Surimono. Circa 1870. Fine impression and colour. Very good condition with a few small stains. Surimono. 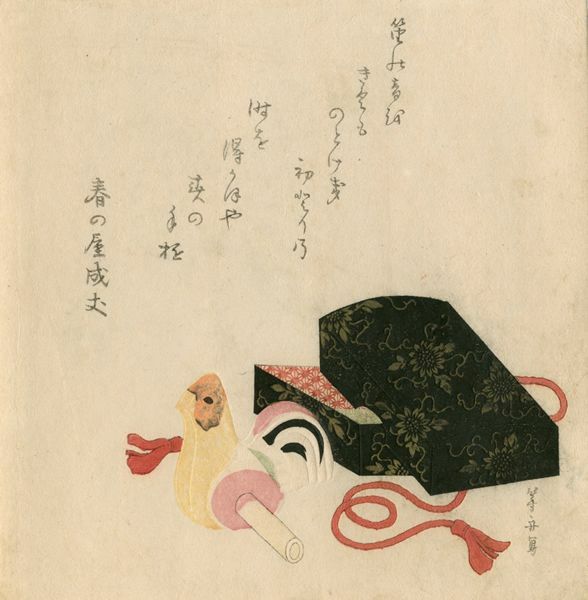 Hotei Gosei (active circa 1804-1844)- Still life with Lacquer Box and Toy. Circa 1810. Square surimono. Fine impression with metallic printing and extensive gauffrage. Fine colour. Very good condition.